Colorado Gives Day, A Little Help’s biggest fundraiser of the year, you can donate at coloradogives.org. This day of giving is crucial to continuing and furthering A Little Help’s mission. Please pre-schedule your gift for December 6th today and share your commitment to A Little Help with your friends and neighbors in the coming weeks through social media or the old-fashioned way. Colorado Gives Day is a 24-hour initiative encouraging Coloradans to give where we live to help raise as much money as possible for local nonprofits in a single day. To increase the total amounts distributed to nonprofits, FirstBank, an A Little Help sponsor and Colorado’s largest locally owned bank, is underwriting all processing fees. 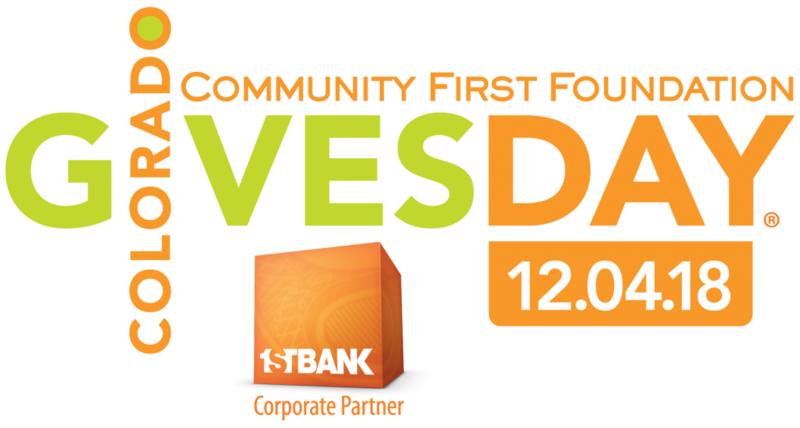 For the first time, Community First Foundation and FirstBank have also partnered to create a $1 Million Incentive Fund for Colorado Gives Day. The incentive fund, one of the largest giving-day incentive funds in the country, proportionally increases the value of every dollar donated. For example, if A Little Help receives 10 percent of the total donations made on Colorado Gives Day, we also receive 10 percent of the $1 Million Incentive Fund! The 2014 Incentive Fund is 300 percent larger than last year. You can schedule your December 6th gift online today at coloradogives.org/alittlehelp. Your donations make it possible for A Little Help to increase the quality of life for our elders and their neighbors. Thank you! Over 80% of your contribution to A Little Help goes directly to programs that allow us to continue connecting neighbors across ages to enhance lives and strengthen our communities. Our goal for Colorado Gives Day is $75,000. We can reach this financial goal, and our goal to broaden and deepen our impact to celebrate elders in every community, with your help. If you need assistance setting up your donation, call the office and we’ll be happy to walk you through the process (or you can send in a check). Check one more thing off your to do list by setting up your automatic, secure donation now. A Little Help connects neighbors to help seniors thrive. Your investment makes that happen.